BEST VALUE IN A NEW HOME! The popular "Dogwood" floor plan by Robertson Construction. This incredible home offers 3 bedroom, 2.5 bath home is complete with a finished walkout basement. A few Standard features include Custom Cabinets, Real Hardwood Floors, Granite Countertops in Kitchen, Stainless Steel Appliances, Iron Spindles, Covered Deck and Elaborate Trim and Detail. A beautiful home with the most up-to-date finishes expected in a New Home today. Located on a Gorgeous Oversized Corner Lot! I-35 N. to Highway 291. Left on 291 to N. Stark. Go Right on Stark to Paw Paw Drive. Right on N Farley Ave to NE 117th Terr. Home will be on Left. 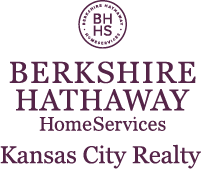 I am interested in 8908 NE 117th Terrace, Kansas City, MO 64157.